Well hello to you my reader chums! With the first month officially over, it's time to share with you everything I've been loving over the past few weeks. As I got a couple of beauty bits for Christmas and in the January sales, this was the month to try out all things new and falling love with quite a few items! The first product is the ever so hyped Benefit Hoola Bronzer. I received this in my stocking on Christmas morning and oh my I had the most priceless reaction, was so happy to finally try it out! I have to admit it certainly lived up to every expectation. With it being more of a tan based, complete matte product, it's the perfect contouring colour that easily blends for the finest chisled look. 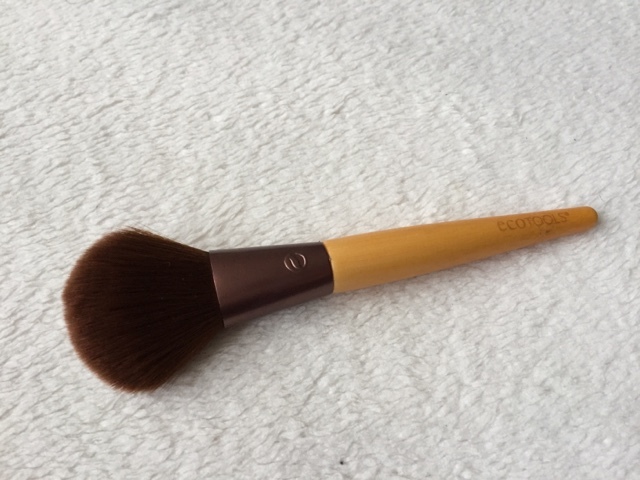 I've been loving this to contour my cheekbones and dust all over the skin for a healthy glow. The bronzer is quite pigmented yet can be built to have a truly strong contour. The lasting power is endless, I don't know if its down to my primer or this particular product but whenever I use it, my contour is always still going strong by the end of the day. To sum it up, if you want a top notch bronzer which creates an incredible contour, overall bronze and comes in the sweetest packaging, this is for you. The next product is a moisturiser called Steam cream. 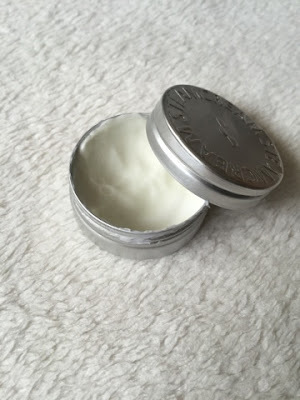 I received this in July at a blogger event but never had the chance to get the full use out of it as at the time I had been loving another moisturiser. However over the past few weeks I've given it a go and have absolutely adored it. It has a rather thick consistency that easily blends and sinks in quickly. After application, the skin feels incredibly moisturised and the cream has a lingering lavender scent. As the cream is designed for face, hands and body, its a 3 in 1 product that truly does the job. 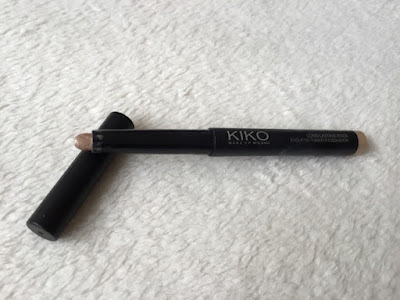 An eye makeup product I've been lusting over is this Kiko cosmetics gold eye shadow base. As a golden eye look is my favourite to wear, by applying this beforehand, it enhances the golden shimmer and really makes the shadow last longer. The consistency is quite wet and takes a few seconds to set, yet its that moisture that allows the eye shadows to cling on and last for a long time. 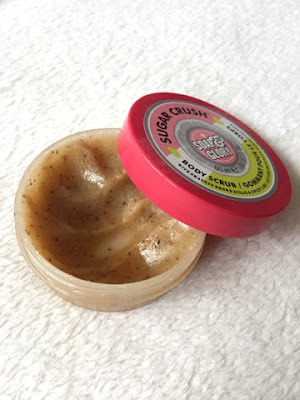 A scrub I've been obsessed with lately has to be Soap and Glory's sugar crush. I received a S&G sugar crush themed gift set for Christmas and it's come in a lot of use I must say! I've fallen in love with the zesty lime scent and the mixture of using the scrub, shower gel and body lotion really helps keep the lingering scent. I love the scrub especially because it's not to harsh yet it certainly exfoliates leaving that tempting scent. My favourite tool to use lately has been Eco tools blusher brush. I was gifted this also at Christmas as part of the starter set which came in the cutest packaging. I love how gentle this brush is on the skin and the slight density to it as well, perfect for sweeping blusher up the cheekbones. The design is super classic and good quality, couldn't recommend Eco tool brushes enough. The last but no means least monthly favourite is Urban Decay's Naked concealer. I featured this in a haul in late December and have been obsessed with it ever since. The overall product is incredible, with medium to full coverage, a creamy, blendable consistency and light weight formulation, you couldn't ask for much more. I love how despite the higher coverage, it doesn't look or feel cakey on the skin. As it's a yellow based concealer, it's designed to even out skin tone and for general concealing use. Which means it's perfect for under eye circles and for covering blemishes, especially with the thickness of the product. 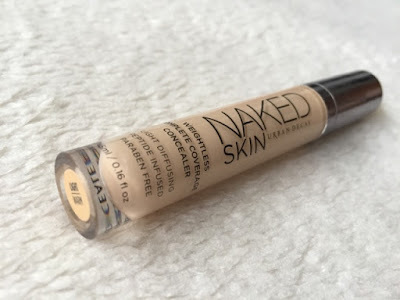 I have to say although it's rather a creamy consistency, the product is quite liquidy too, however overall it's become one of my favourite concealers! I hope you enjoyed my January favourites! What have you been enjoying this month? 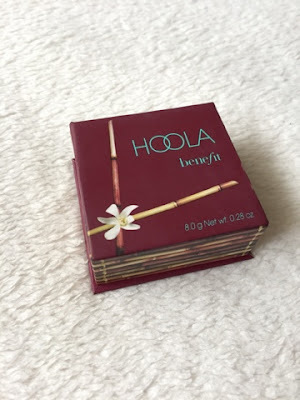 This post reminds me how much I love hoola. I need to repurchase. 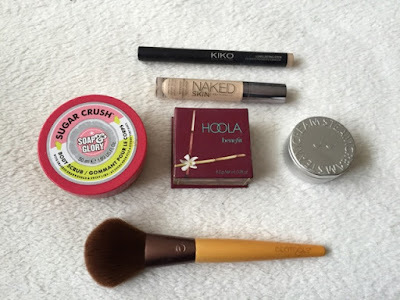 the naked concealer is my absolute fave and i really want to get the hoola bronzer! Hoola has been my favourite too! Can't wait till I buy a full sized one! Urban Decay all the way :) It even rhymes. Great favourites, I love the soap and glory scrub, it smells amazing and makes my skin feel so soft. I really need to try the Naked concealer because I've heard it's so good. Thank you so much! It does, I'm obsessed - oh you do, I'm sure you'll love this concealer! OOH I really want to try that concealer!